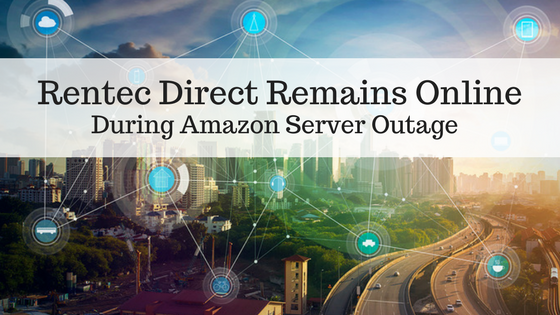 In light of the recent Amazon S3 server outage that put a huge portion of the internet offline, Rentec Direct is pleased to reassure you that your software remained online during the entire outage. While websites worldwide were “Temporarily Unavailable”, Rentec Direct clients continued to have full access to the important features stored in the cloud-based software required to run their rental business. In fact, Rentec Direct reports a 100% uptime for the past 365 days! When your software company gives you 100% uptime, that means your business continues to run without any interruptions. Keep reading to find out more about uptime and what this means for you and your business. What exactly happened to the Internet Outage caused by Amazon? Amazon Web Services division announced Tuesday that its S3 cloud service — which allows some of the internet’s biggest websites and services to store data on the cloud — was experiencing “error rates”. According to Ryan Whitwam at Forbes, Amazon S3 is used by more than 120,000 domains across the world. Some of the major sites and services affected by the outage include Quora, Giphy, Instagram, IMDb, American Airlines, Imgur, and Slack. In some cases entire sites are offline, but in others it’s just parts of the service. Why didn’t Rentec Direct get affected by the Amazon S3 outage while other property management software companies did? 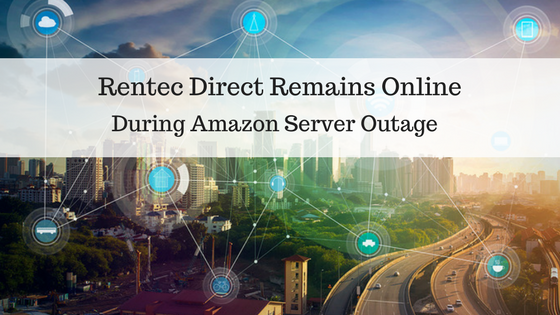 Nathan Miller, President of Rentec Direct has the answer: “Rentec Direct utilizes Amazon services which traditionally are very reliable; however, we don’t bank on their stated uptime and we add in further redundancies to eliminate the possibility of outages like the one that happened earlier this week at Amazon. Rentec Direct utilizes technology which replicates data to secure data centers around the world. 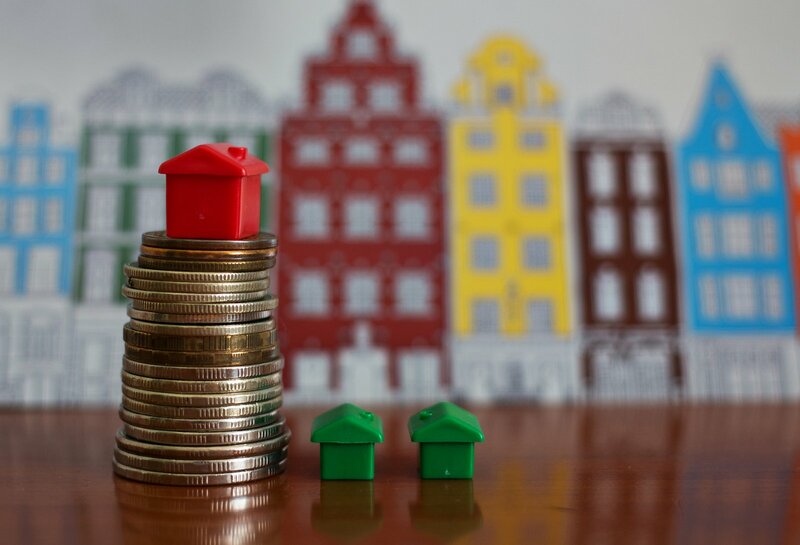 This not only provides a superior level of reliability by protecting our service from failures like that, but also provides faster access to the data for property managers no matter where in the world they are located. What exactly does “Temporarily Unavailable” mean for a website? Have you ever tried to access your favorite website, only to be met with a “server error” message or an extremely long page loading time? Did it make you want to give up and take your business somewhere else online? As a customer website availability issues can be incredibly frustrating – especially if you are trying to conduct business or are dealing with a time sensitive issue. For a business, whose website is producing an error message, it can be equally frustrating, if not more. For each second a website is unavailable, you run the risk of losing business and trust from your customers. Every company that conducts business online (which is almost everyone these days) understands the importance of website accessibility. Your clients and customers need to be able to access your website in order to interact with and use your products or services. Websites of today are increasingly more complex and depend on many critical parts to function properly. If any part within the system breaks, your website can go “down”, disrupting its availability. The reality of online services means every entity that uses and manages a website will eventually experience some sort of Internet downtime. Even some of the most used and trusted websites run into this issue, like the New York Times’s experienced with their website a few years ago. Website monitoring services help companies monitor their online availability and reduce downtime by tracking service interruptions and notifying users of any issues. Companies evaluate their performance with an uptime score, that reflects a percentage of how often a website is available to the public. Uptime is a computer industry term used to describe the time in which a computer is operational. For websites, uptime refers to the time a website is accessible and fully functioning. Uptime is typically measured in terms of a percentile. What does it mean when a website goes down? Websites and web services go down for several reasons including scheduled maintenance, coding errors, hardware issues, or even due to forces of nature. Consider how it would affect your business if your website went down for an hour, a day, a week. Would you cause pain or frustration to your clients? Or worse- would your clients take their business to one of your competitors that seem to have more reliable online services. Improving your website’s uptime will build trust and loyalty within your client base and improve user experience. Website uptime is measured as a percentage of the amount of time a website is accessible and available for useage. The time that the site is unavailable is called downtime. A simple example of an uptime percentage would be if your website was offline for an hour every day, your site would be then be available for 23 hours out of every 24, giving it a daily uptime of 95.38%. Uptime can be measured in daily, monthly or yearly percentages. What is a good uptime figure? Most businesses try to avoid all possible downtime and aim to achieve a high uptime percentage of 99% or higher. In fact, a great uptime is measured by a “five nines” reliability, or 99.999%. A few decimal places of uptime is the difference between nearly 9 hours of downtime per year at 99.9% to about 5 minutes per year at 99.999%. Considering that every minute a business site is offline can be measured in eroded customer dissatisfaction and lost revenue, can your business afford to work with a hosting provider that is only 99.9% reliable? What kind of uptime does Rentec Direct provide our clients? Rentec Direct is pleased to announce that we have had 100% uptime recorded for the past 365 days (As of March 3, 2017). As a cloud based software company, eliminating possible downtime is extremely important and sometime we take very seriously. Our clients need to able to access the system and their accounts at anytime from anywhere. Rentec Direct typically reports between a 99.99%-100% uptime every month. 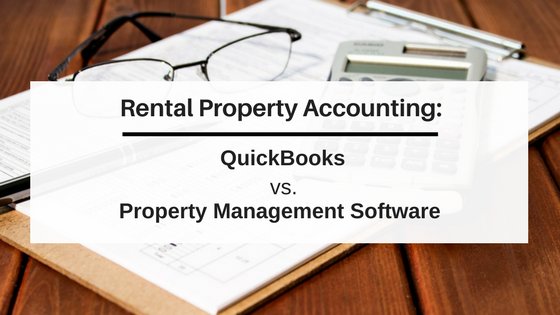 Maintaining a 100% uptime means you were able to access tenant screening reports, market vacancies, receive online rent payments, process leases, follow up on maintenance requests, and complete accounting tasks. Uninterrupted access was especially important for anyone who was finishing end of year reporting and submitting tax documents through Rentec Direct. Rentec Direct works with a third party service that monitors our website to verify availability and uptime as often as every minute from over 50 locations worldwide. This type of verification allows Rentec Direct to be aware of any issues the moment it happens so the situation can be rectified quickly. What does Rentec Direct’s uptime mean for our clients? By providing you with 100% uptime, you can be assured unprecedented access to your property management software. You can feel confident with your business objectives by providing your employees, owners and tenants reliable online services.